Every year the world’s most happening fair in the world of furniture – Milan Design Week highlights the latest in colour trends and materials. This year too a fusion of colours and new materials surfaced awakening the fervent designers and architects who are always on the lookout for the latest in the realm of furniture. 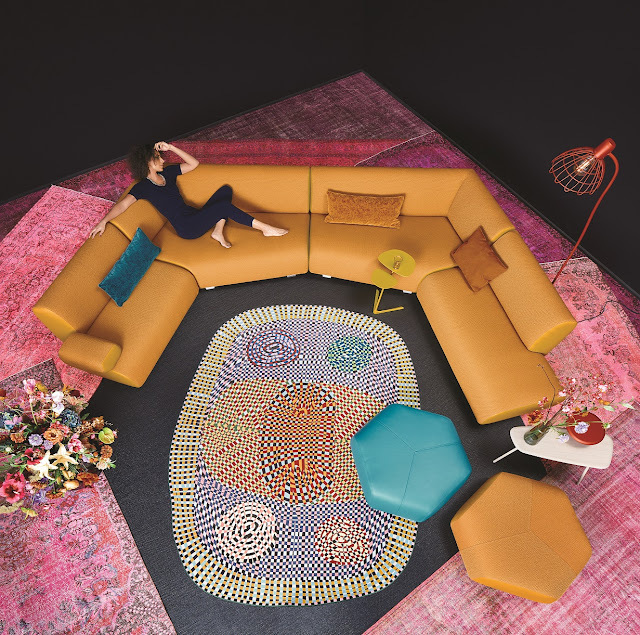 If you wish to be attuned with the latest and new designs, Simply Sofas has the bold new Milan collection that displays new materials, trendsetting colours and pioneering design. The collection comprises of the most awaited designs and trends in the world. Blue, which is the pantone colour of the year, creates the tranquil feeling. It flared up to be the dominating colour at the Milan Deign Week. The shades from dark, royal tones to light ice blue were seen in accents, surfaces, upholstery. 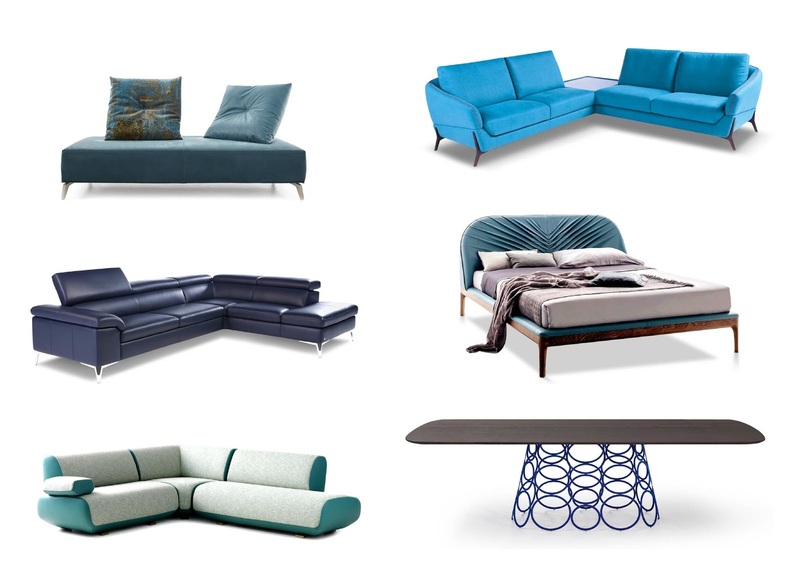 NicolettiHome Virgo, NicolettiHome Celine, Koinor Lazzy, Leoluxl Guadalupe, Bonaldo Hulahoop, Tonin Casa Michaelangelo all have a blue hue and are now available in our stores. You can mix blue with pink and neutral colours such as white to enhance the look of your space. The darker the blue the more it delivers a luxurious sentiment. 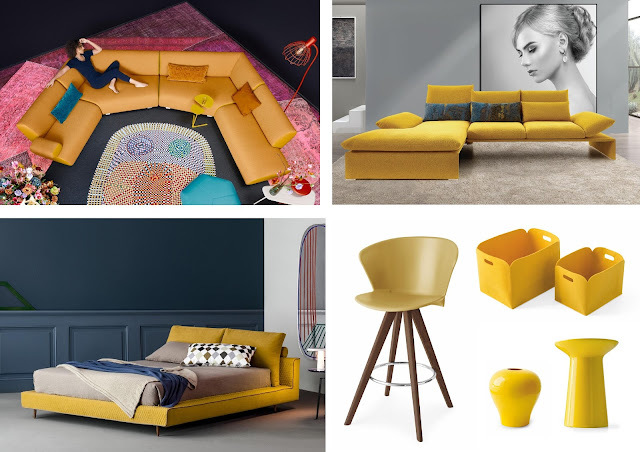 Yellow is the trending colour after blue at the design week and appeared in a lot of new different shades. It largely surfaced in upholstery and accessories. Koinor Houston, Calligaris Dafne, Bonaldo Owen Ego are some of the products in different shades of yellow. This colour can be used to exude a sense of happiness making your ambience look lively. Warm grey was largely a new tone this year at Milan. This neutral tone goes along with only a few set of colours. This colour was seen in accessories and minimalist furniture and also on permanent surfaces such as floor and walls, and even upholstery and wood finishes. Shades of grey are seen in products such as NicolettiHome Puzzle, Koinor Francis, Leolux Ysolde, Calligaris Tivoli, Calligaris Sipario. Use grey to balance or tone down a bright coloured space. Deep red was another colour seen at the fair which is derived from marsala in a parallel tone. It is an intense colour that could spice up your home into powerful sensation. Some of brands have deep red tones like Bonaldo Ketch, Koinor Jojo. Pastels and multi-tone colours were other colours appearing in most designs. Here’s what you can do with these colours: Brights can be quite alarming and can put off those who’re used to a more neutral colour base, but they’re a huge trend and can look really effective. A top tip is to contrast bright feature pieces against neutral colour palettes and against natural textures. This is a trend that was noticeable in a variety of different designers’ works and something that you can incorporate into your home in as big or little capacity as you like. A statement bright yellow sofa like the Koinor Houston sofa looks great positioned against the warm tones like that of a walnut coffee table. You can introduce bright colours on a smaller scale by accessorising with bright lamps or vases. 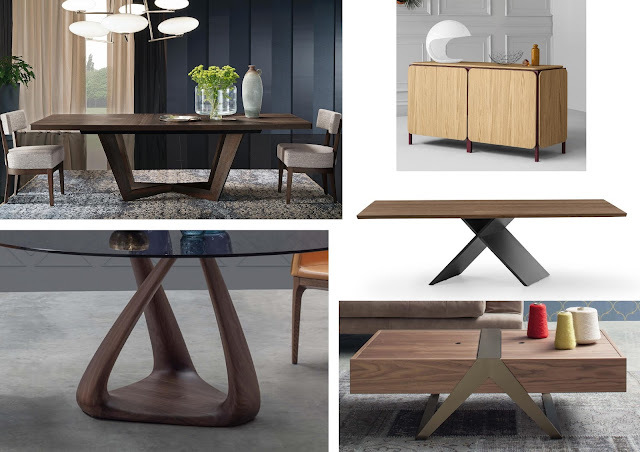 Be it over-sized coffee tables or extendable dining table, the fair showcased wood as the major trending material. Oak, walnut, eucalyptus, and ebony finishes in high gloss, laminate and matte were prominent on dining and coffee tables. Using full-plank wooden topped tables with metal bases is a good idea. You can also use two tones of wood on flooring, doors, windows and panels. 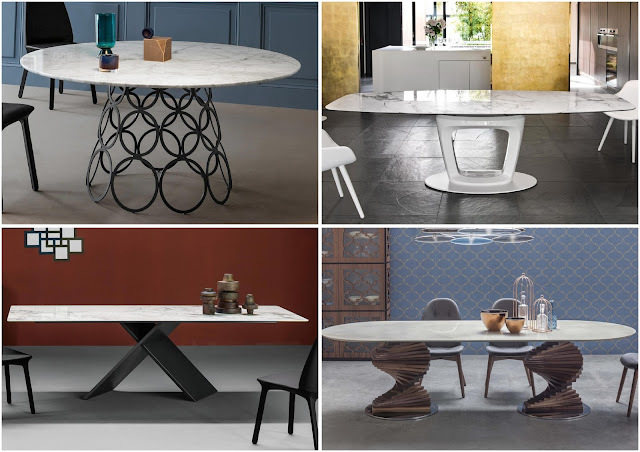 This trending material is now seen in our latest bold new collection of dining and coffee tables - Bonaldo AX 250, Bonaldo Frame, Alf Accademia, Tonin Casa Matrioska, Tonin Casa Rizoma. Marble has moved to centre stage, adding a hint of glamour wherever it goes. It appeared with fluid patterns, throwing up to 3-4 tones, the range of colours being – whites, browns, peaches, blush pinks and inky black. It’s time to break the monotony and add flavor to your décor with marble. Calligaris Orbital, Tonin Casa Capri, Tonin Casa Firenzi, Bonaldo Hulahoop, and Bonaldo AX 250 have marble on table tops. Metals will stay with us into next year. 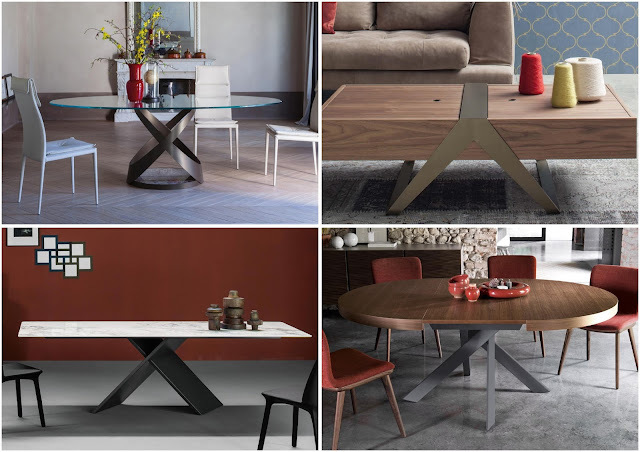 Metals in the warm grey tone, with a high-gloss or copper cast, are also popular in tables. With its growing usage it’s one thing you should look for in your latest furniture. 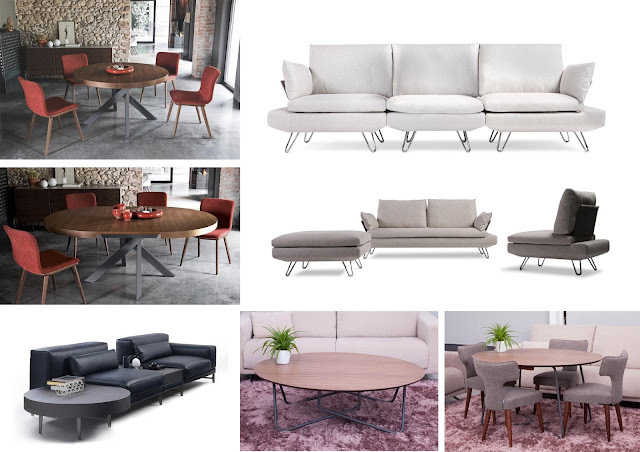 Some of our new tables with metal base include Tonin Casa Matrioska, Bonaldo AX 250, Tonin Casa Capri, Calligaris Tivoli. Heat and scratch-resistant Ceramic table tops were spotted in the fair too. It’s wise to get over with flimsy delicate tops and go on to a durable one like ceramic. Duotone Motifs was another key feature noteworthy at Milan. It was seen from upholstery to cabinet fronts. 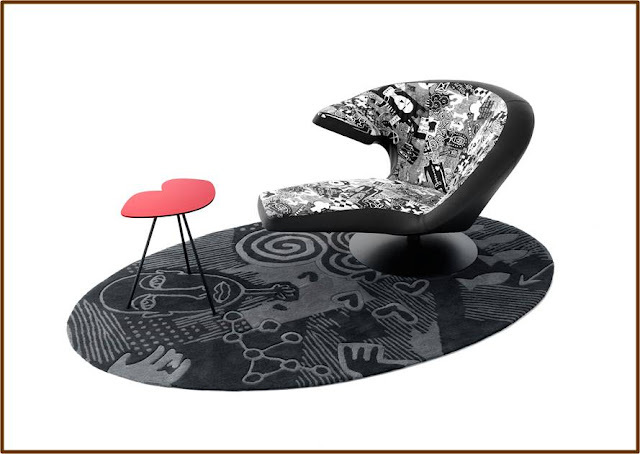 Fama Urban, Tonin Casa Colosseo, Bonaldo Doppler are some of the new collection with these motifs. To match the duotone patterns in your décor have curtains or carpets with these elements. This will unify the look of your space instead of introducing an abrupt mismatch in your décor. Compact living: Multi-functional furniture is getting popular because of the room size getting tighter or that the people want more. Most of these furniture come with an extra feature like extensible or camouflaged storage. Compact living has become a real focus of high end interior design. So if you’re short on space, it’s essential to know that space efficiency is a new trend that is important to designers who create timelessly stylish pieces. This is evident in the sleek design of the Fama Pop. Renowned for their clever thinking and affordable design, it has the perfect proportions for modern living and is extremely durable with its solid top in various finishes. 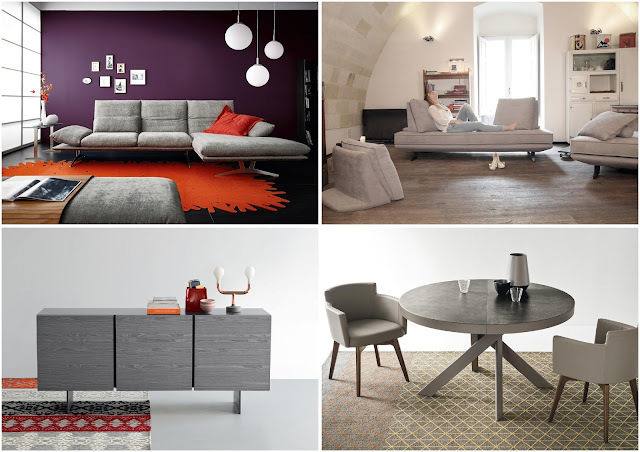 Calligaris Tivoli, NicolettiHome Puzzle, Natuzzi Ido, Leolux Gaudalupe were other furniture with the functional aspects that make them more appealing than others. Eventually, most of the trending colours and materials will stay with us till next year; it’s a great opportunity to imbibe them in your interiors and to bring back the charm. Good luck on that. View our Bold New Collection here. We are back from the world’s largest fair in Milan with a brand new collection of luxury furniture. 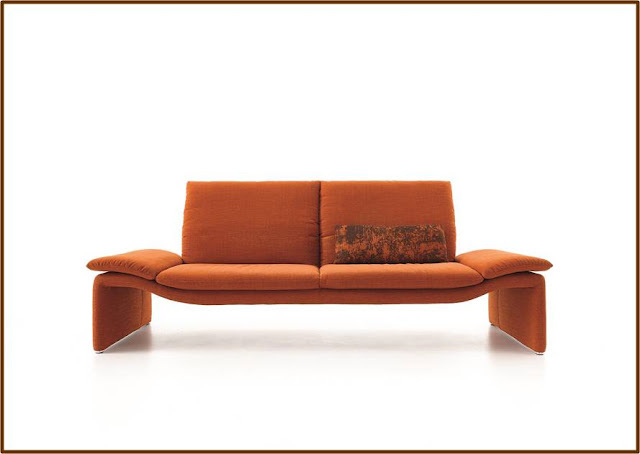 Since 1961, the annual Milan Furniture Fair has showcased the latest in fine European furniture. 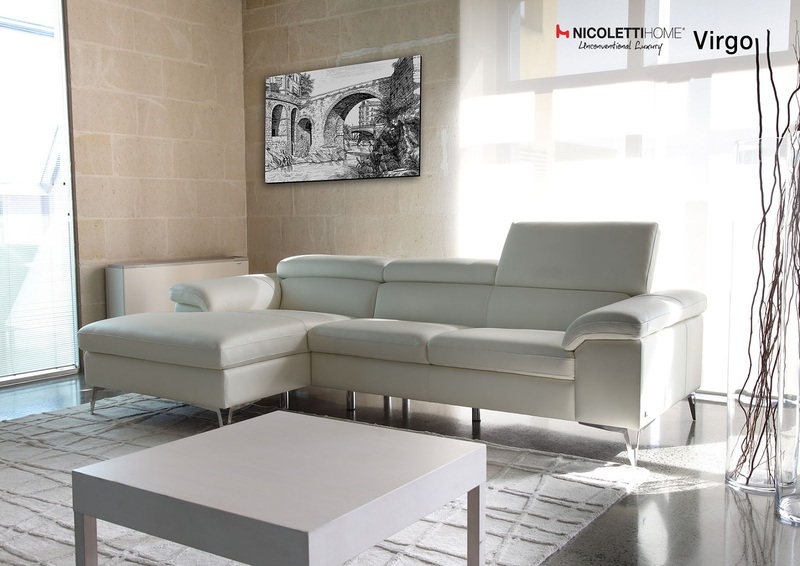 Crafted by the world’s best furniture makers, the Milan collection sets the highest standards in design and comfort. Beginning in 1934 with its promise of “making sitting a pleasure,” Leolux is known for regularly winning prestigious international design awards. 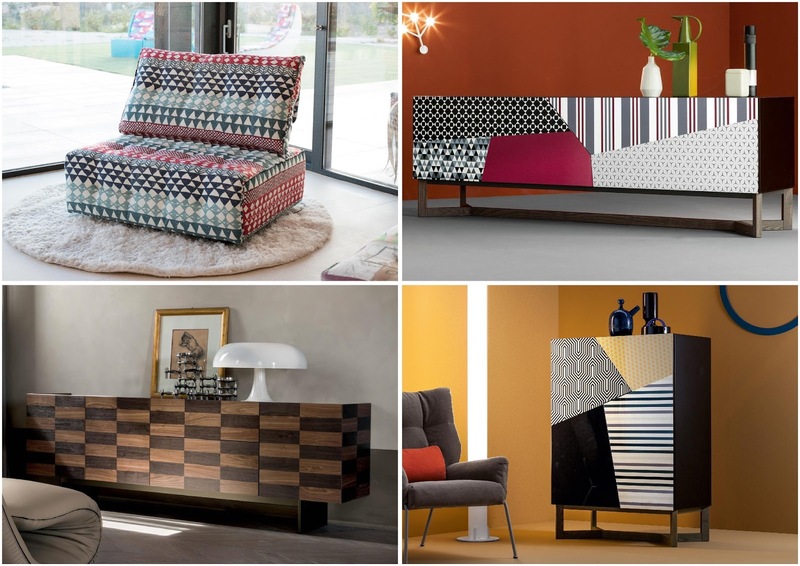 The brand collaborates with international designers to create quirky, lavish and stylish furniture. This year’s collection was at its vibrant and colourful best. Guadalupe by Christian Werner for Leolux is the winner of the prestigious Red Dot Design Award 2016. It is available with add-on elements, in different colours and upholstery choices. 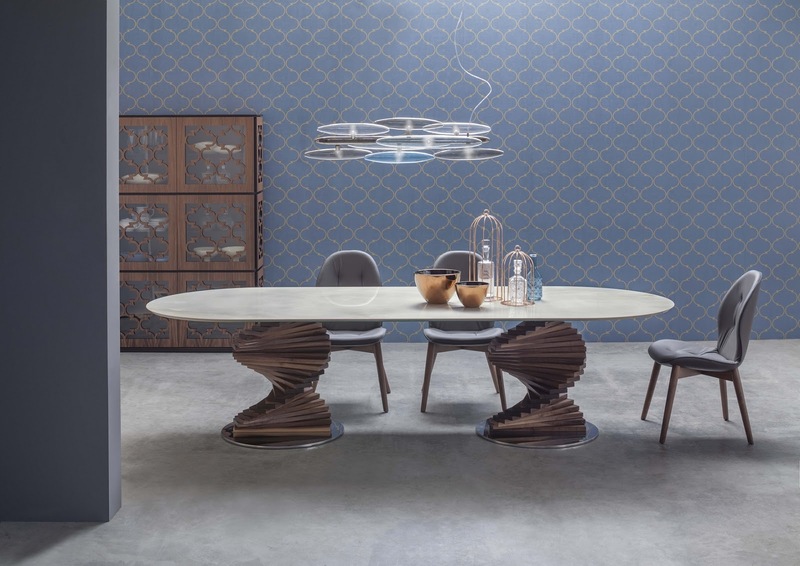 Parabolica by Leolux, in an exclusive edition by artist Coen Blanwaard. Virgo by NicolettiHome. With adjustable headrests on tapered chrome legs. Since the last 60 years Koinor, an award-winning German sofa-maker, has pushed the boundaries in furniture design to new heights. At Milan this year, the brand showcased furniture that challenged common notions with better technology, design, and ergonomics. Fellini from Koinor is supported by a metal frame with adjustable headrests and armrests. 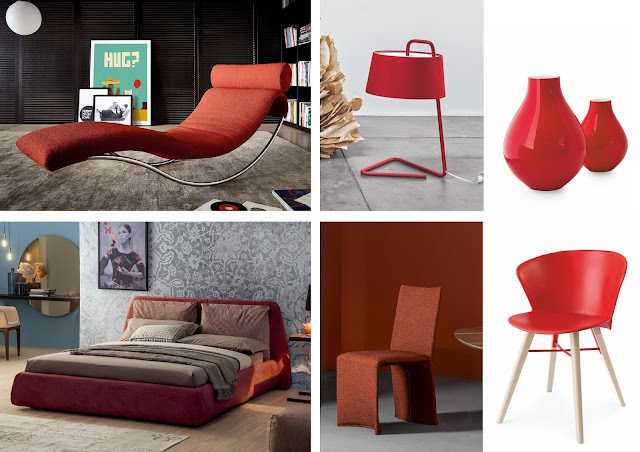 From the last 93 years, Calligaris has defined what the world sees as Italian furniture design. One of the largest and most progressive Italian furniture brand today, Calligaris always makes a strong presence at Milan. This year the brand combines modern elements with tradition, creating a warm, comforting and natural style. 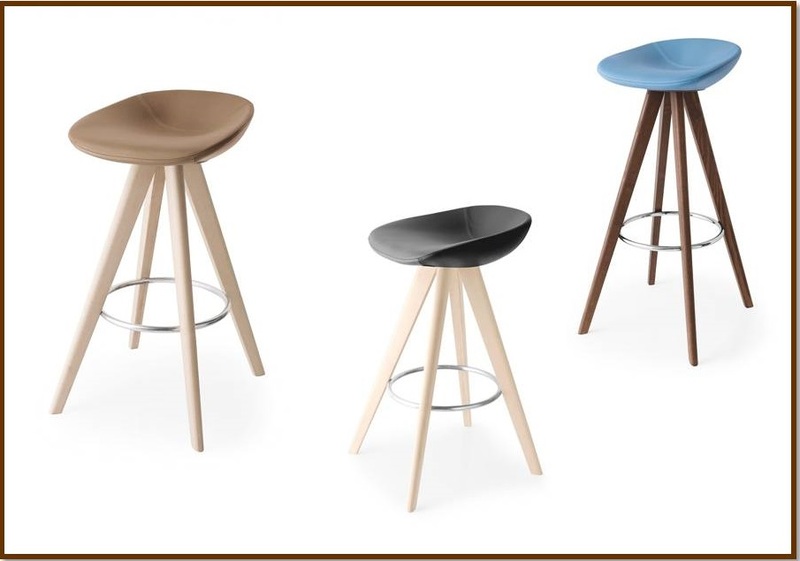 Palm from Calligaris is available in a range of Skuba leather colours, with legs in solid wood or lacquered finishes, in two different sizes. 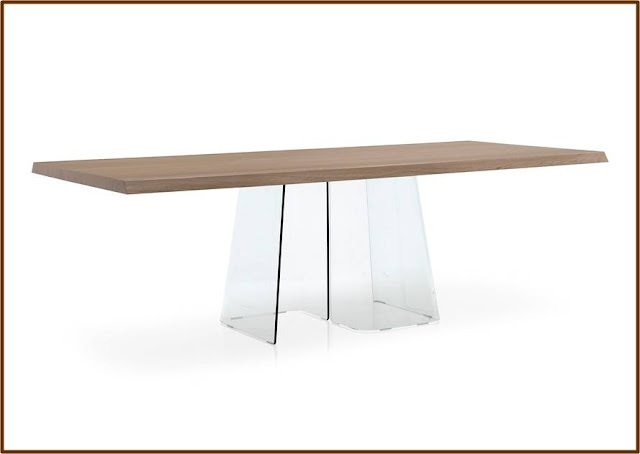 Volo by Calligaris is available with Natural Oak, Dark Oak or Walnut table tops, supported on a transparent “S” shaped glass base. Available in two sizes. 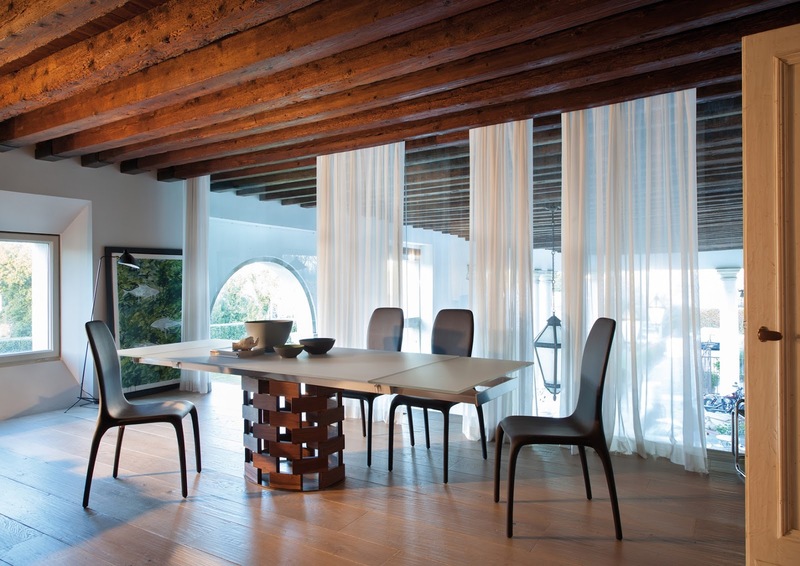 With its exclusive design team, Tonin Casa’s contribution to Italian furniture has always been significant. This year the brand made use of wood, marble, glass, metal, and composites in synchronised harmony, aiming for elegance and functional simplicity. Firenze from Tonin Casa features a perfect helix base and a grey porcelain onyx-on-glass top, with the Sorrento creased leather upholstered chair. Colosseo from Tonin Casa. Patterns on the sideboard are etched using a special laser tool. The Bold New 2017 Milan Collection is now exclusively available at a Simply Sofas stores near you. Visit http://www.simplysofas.in/milan2017 to get a glimpse of our new collection. Visit our stores at http://www.simplysofas.in/stores to test-drive the new collection.